Second Harvest Food Bank of East Tennessee provides over 18 million pounds of food annually to hungry people across an 18-county region. 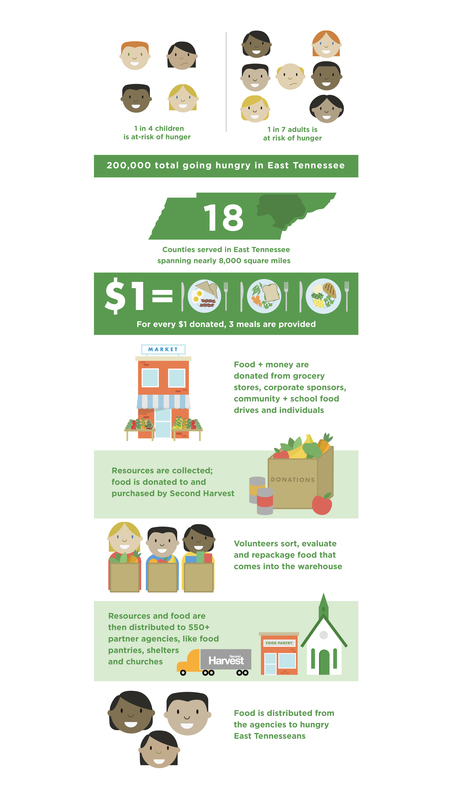 With one in seven East Tennesseans struggling to meet basic needs, Second Harvest has made an immense impact through their ongoing community programs and fundraising efforts. 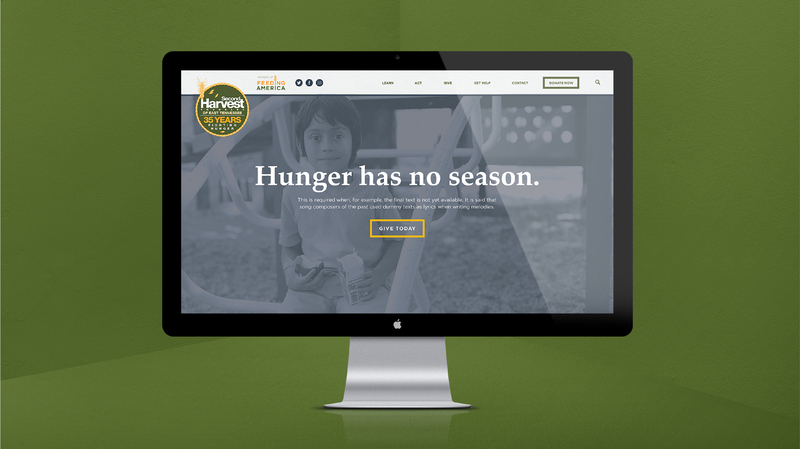 Second Harvest came to Morris Creative Group seeking a fresh look and an improved user experience for their website. Together we created a responsive website that allows users to navigate seamlessly and donate immediately. 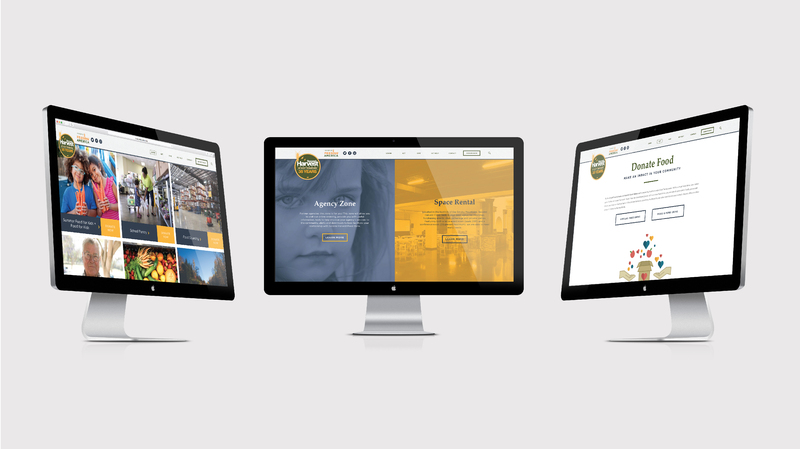 This redesign contains a new color scheme, animated menu, eye-catching photography, story-telling infographics, an interactive pantry locator, and an event calendar integration.